Sledging on a class four river, death is very near. 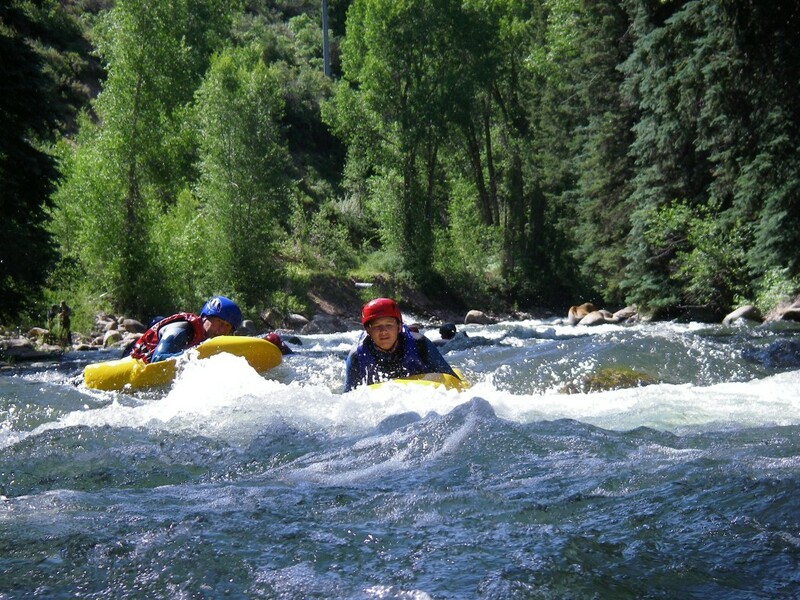 I was on my way to the Catholic Church in Aspen to seek forgiveness for my shortcomings before sledging on a class four river. It was early morn and the sleepy eye of the golden orb had just awakened from its night time slumber when its rays of gold streamed its way through the shroud of darkness. Those beams were refracted through colorful stained glass windows and filled the prayer room with a light show of kaleidoscopic colors. The pious priest sung a homily and his musical words wafted through the empty church like vapors drifting through the firmament. Meanwhile, flames danced about on the tops of lighted candles sending yellow glow about the room. My mind gave thanks for the wonderful experience while I also asked God to watch over us on our sledging journey. Now I hustled back to the hotel to prepare for the Sledding event. It was a cool 40 degree August morning in Aspen Colorado, there were a few white vapors hanging onto the violet sky that painted the firmament and the wind was dormant and quiet. We were going Sledging a new sport in which one swims down a river on a small boogie board with a helmet, wet suit, and fins, wicked cool stuff. Our guides were Gary and Jamal both from down under. They would guide us over a an eight foot water fall, through eight miles of hellish class four rapids and try to keep us away from the death traps like downed trees and logs. We drove to the drop in spot on the roaring fork river, a class four river that drops from Aspen down to Glenwood Springs where it meets the Colorado River. Since the water comes off of snowmelt and is at altitude it is cold. This day the water was very cold at 38 degrees and it was raging. We pulled our wet suits proceeding to the river to place fins and helmets on to practice some safety maneuvers like rolls, flips and sideway swims to keep us away from deaths door. Jamal stated no group had made the trip in its entirety so we were jacked up. I told everyone no one bails on our team. As we slipped into the water our breath was taken away by the cold. It was penetrating and all consuming and we all began to chatter. However as we pulled way from the safety of the shoreline the adrenalin kicked in as we were under water immediately. The fight for breath takes the pain of cold water away. From the beginning we were in a battle, a battle to survive. Every muscle was used to keep our heads above water, it was frightening. 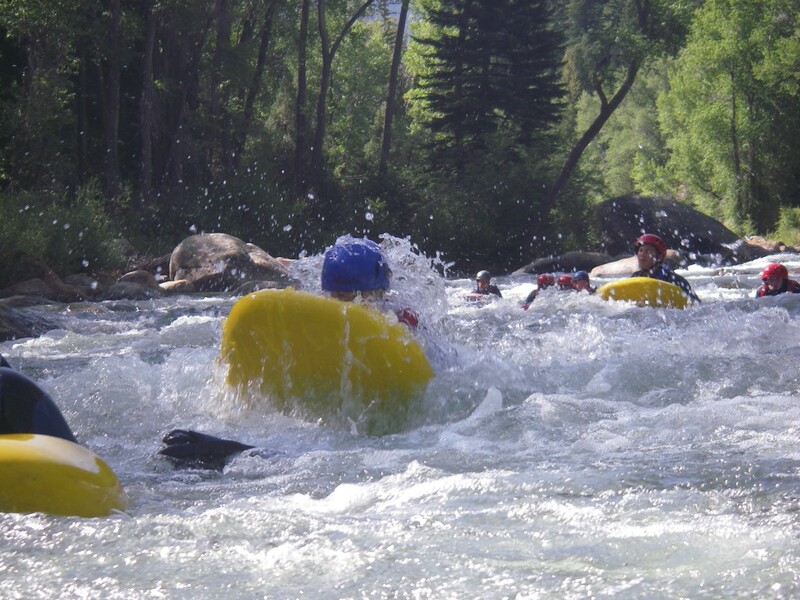 The water was pulling us downstream quickly, over rocks and boulders and every time we were thrust underwater. The maelstrom was ever consuming. It would not let you go, it owned, pulled and tugged at your very souls. I prayed for forgiveness and fought for my life, the river only laughed at our pain and suffering. I was following Pat miller and he disappeared directly in front of me. It was as though he vanished into thin air. It was the eight-foot waterfall that consumed him. It ate you, swallowed you and then spit you out again down river. I followed Pat off the cliff and thought I would land on top of Pat killing him, but the river spit the first one over down the raving beast of a river. I was free falling through thin air and then suddenly, I was thrust underwater, stuck beneath the surface, trying to get out and just as you thought you might not make it the river spit you out allowing a recovery. The river was a powerful ranging anaconda. And it snaked its way beneath the cotton woods trees, shrub and scrub of high planes fauna and beneath the towering snow covered mountains of Aspen valley. Its strength came from the snowmelt and the more it raged the more the anaconda was happy. After the waterfall we were told there was no way out except by swimming the freezing cold raging river, so onward we went. We were crushed into and onto the river rocks, some were sharp others worn smooth with the eons of flow. Our bodies ached and were getting welts from the constant pounding yet the adrenalin kept us sharp. We are always swimming and moving from side to side to keep us away from the deadly downed trees and logs. It was totally exhausting and after about 4 miles my legs started to cramp. My nephew Slater’s arms were cramping from holding the board so tight. We were told if you loose the board, your safety blanket, you die and I can believe that. 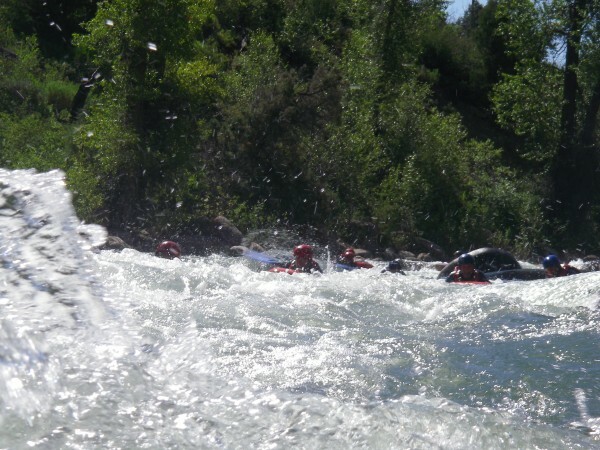 We were flipped over, under and from side to side and some of us even did barrel rolls and forward flips as the rapids and drops totally controlled and consumed our beings. We finally reached the end and gave thanks to God for watching after our adventure. It was crazy, fun and exhilarating and we were all lucky that we only suffered minor cuts and bruises. I cannot wait to return for the large spring melt rush. Today we started above tree line to climb a step ridge in Aspen. On our way to the drop off, we passed Devils Punch Bowl. It is a scary stone-faced cliff and chimney like structure with one side open outward waterfall. Roaring white water cascades off the ledge above you and falls in this narrow rock channel into the abyss below. Depending on the jump, it is a 25 to 60 foot drop in from a stone ledge into a deep dark pool, an abyss with no return. After climbing the steep cliff you walk out on to the ledge. You feel the wind from the raging water as it passes next to your body try to push you forward. Fear tries to stop you but then you press on and you explode off the cliff and free fall in the dark pool below. The ice-cold water takes your breath away as you struggle for the surface and fly for the safety of the rocks across the chasm. Can’t wait to do it again. Our trek started on a narrow ridgeline above tree line that snaked around snow-white cornices to a summit @ 13,500 feet of loose scree rock and ice. On the sunny side of the slopes on the way to the summit, miniature flowers: yellow buttercups, purple columbines and Indian paintbrush covered the entire sides of the towering mountains. Thick golden honeybees, like little helicopters, motored between each flower collecting pollen for their hives survival. Here the wind was constant and the beautiful flowers quaked in its powers. The wind was strong- Today the locomotive was blowing 40. We had to be careful on the knifes edge of the ridge where it fell away into the abyss below. A climber had just died days before on a slip on the loose scree we were encountering. As we approached he summit, little survived in this elevation. There were tiny purple flowers that piggy backed on the dark green discs of soft mosses that resided on the rocks and the brown earth. Crusty lichens in a patchwork of greens, browns and reds painted the rocks. How they survive remains a mystery. In this rarefied atmosphere, our bodies needed more oxygen than provided. Some of us developed slight headaches, others nose bleeds and mental confusion. We all had to pull hard in the rarefied air. It was cold, dry and sharp we gained the summit and a small rocky wind shelter marked the spot. For the first time in my life, I saw a herd of 30 wild rocky Mountain goats. They were pure white and stood out against the dark green country they were feeding on. Ryan and I climbed this 80-90 degree scary scree lined loose rock ledge to get a better view- It was a mistake as one slip and it was over 100 foot of free fall but the views from the edge into eternity was incredible. The sun smiled on us that day it was a great day, see you on return and I hope everyone will try to come out with us next year. 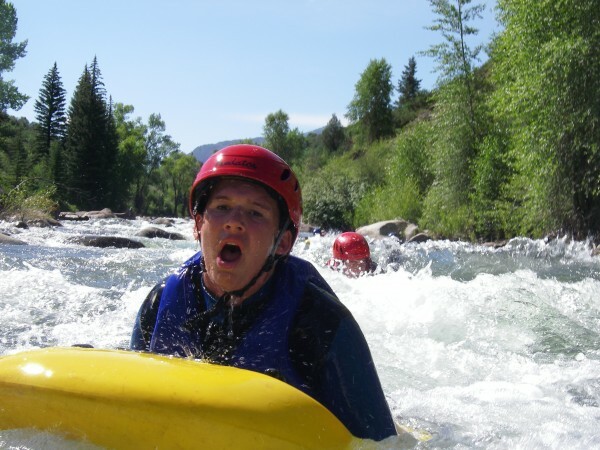 I was on my way to the Catholic Church in Aspen to seek forgiveness for my shortcomings before sledging on a class four river. It was early morn and the sleepy eye of the golden orb had just awakened from its nighttime slumber when its rays of gold snaked its way through the shroud of darkness. Those beams were refracted through colorful stained glass windows and filled the prayer room with a light show of kaleidoscopic colors. The pious priest sung a homily and his musical words wafted through the empty church like vapors drifting through the firmament. Meanwhile, flames danced about on the tops of lighted candles sending yellow glow about the room. My mind gave thanks for the wonderful experience while I also asked God to watch over us on our sledging journey. Now I hustled back to the hotel to prepare for the Sledding event. It was a cool 40-degree August morning in Aspen Colorado, there were a few white vapors hanging onto the violet sky that painted the firmament and the wind was dormant and quiet. 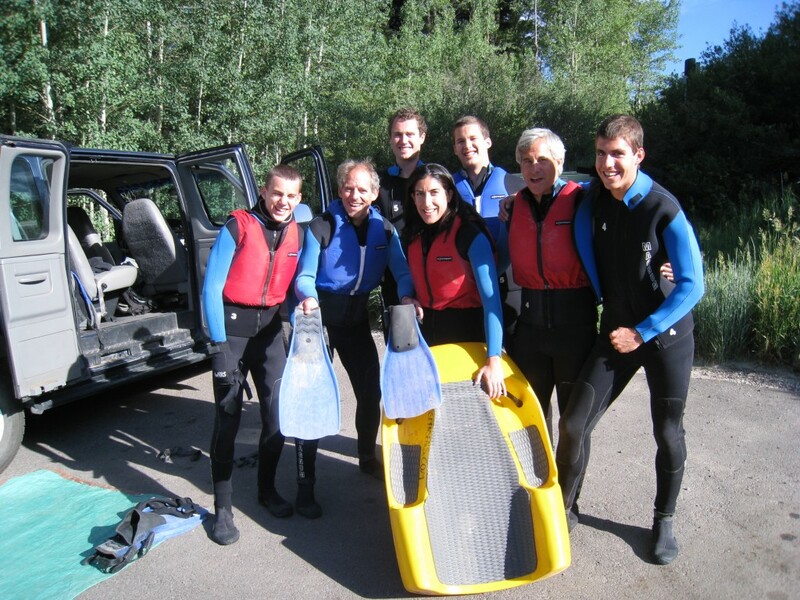 We were going Sledging a new sport in which one swims down a river on a small boogie board with a helmet, wet suit, and fins, wicked cool stuff. We drove to the drop in spot on the roaring fork river, a class four river that drops from Aspen down to Glenwood Springs where it meets the Colorado River. Since the water comes off of snowmelt and is at altitude it is cold. This day the water was very cold at 38 degrees and it was raging. We pulled our wet suits proceeding to the river to place fins and helmets on to practice some safety maneuvers like rolls, flip and sideway swims to keep us away from deaths door. From the beginning we were in a battle, a battle to survive. Every muscle was used to keep our heads above water, it was frightening. 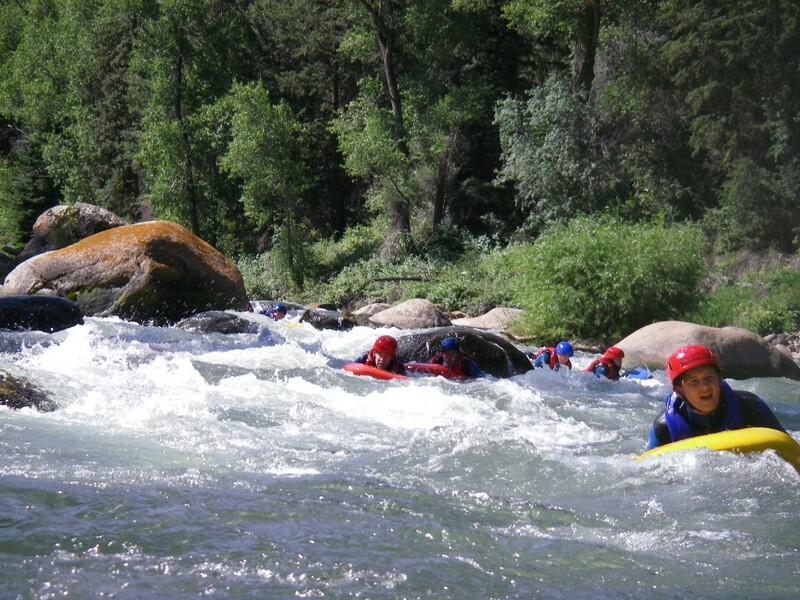 The water was pulling us downstream quickly, over rocks and boulders and every time we were thrust underwater. The maelstrom was ever consuming. It would not let you go, it owned, pulled and tugged at your very souls. I prayed for forgiveness and fought for my life, the river only laughed at our pain and suffering.